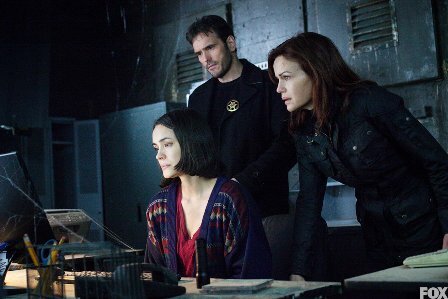 Only one episode remains for Wayward Pines season one? What do you think? Do you want to see more? I was a little shaky on the show at first, but now I really like it. I think there’s a lot of potential, though I hope it doesn’t just become a survival type show. I like that the town is functioning and pretty weird. Do you think Pilcher is just going to try to wipe everything out and start over again? 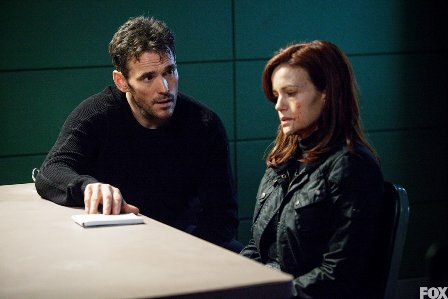 This show screws with your head: As Ethan (Matt Dillon) became more intent on protecting the town by enforcing the rules it started to become easy to think of Kate (Carla Gugino) and Harold (Reed Diamond) as bad guys. They weren’t. They were just trying to fight for their freedom and the brutal scene in the police station was a good reminder of that. They were uninformed, but that wasn’t their fault. Is oppression the only way to keep the peace? Let’s hope not. Theresa shares a new discovery with Ethan and Kate. There’s more to Nurse Pam than meets the eye: As I mentioned in my review of last week’s episode, we learned that Nurse Pam (Melissa Leo) does have some compassion. She seems to have grown wary of her brother’s iron fist. My question is, what is she hoping for? I guess maybe a coup d’é•tat. What is with Mrs. Fisher? : I know Mrs. Fisher (Hope Davis) is all about ensuring the future of Wayward Pines and all of humanity, but seriously why is she so into it? Is she just a person who takes her job seriously? I don’t think that’s all there is to it. Why has she taken so much interest in Ben (Charlie Tahan)? I think there’s more going on with this character than just a single-minded vision. With only one episode left I doubt we’ll learn much more, but I do like that that added context. What’s with Pilcher? : Apparently his motivations are not as altruistic as he makes them seem. He’d rather destroy everything than lose control. So is he just a megalomaniac? So much for preserving the human race. 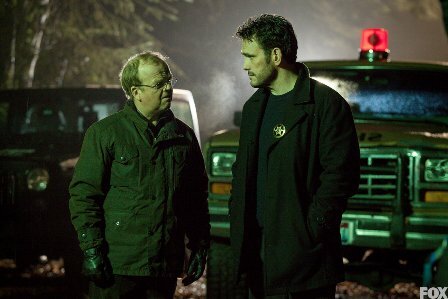 Ethan didn’t become the new Sheriff Pope: I didn’t really think he would, but for a few moments I did start to think the show was going to go totally dark with his character. I like that they didn’t, though that would have been interesting too. They went that direction with Ben, which I think is enough. There’s a lot to deal with there. I don’t have a lot to add here. 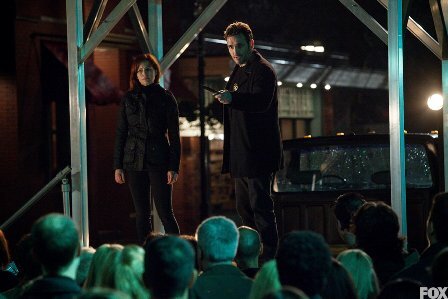 This was an intense episode that brought everything to a head just in time for the season finale. My only complaint isn’t directly from the episode, but from the teaser for next week…. They showed Amy walking around: In this episode Amy’s (Sarah Jeffery) brain injury leaves her near death. Ethan even says they don’t expect her to make it and that’s where things left off. So why show her walking around with a bandage on her head in the teaser. At least let us wonder for a week if she’s going to make it or not. I loved seeing the videos Theresa found that showed there were people at least trying to find something beyond Wayward Pines. The question is whether all hope is lost or is there something else out there besides the abbies?